Walking benefits is not popular as other exercises such as fitness and running. But actually, walking helps strengthen bones, weight control, and maintain the condition of the heart and lungs. Doing walk regularly and consistently is one of the most important factors in shaping a healthy physical activity program. Research shows that people who walk approximately 20-25 miles per week, more longevity few years than those who did not. In addition to a free and healthy, there are many other benefits of walking that you never thought before. Geoff Nicholson in his book, Lost Art of Walking, praised the considerable benefit of walking. Besides good for physical health, psychological and social benefits, this simple activity also can change your life. Improving Health: In terms of health, walking is one of the keys to managing weight, controlling blood pressure and reducing the risk of stroke, breast cancer, diabetes and myriad other diseases. A quick walk every day can extend your age, lowering the risk of depression and improve mood and feelings of happiness. According to Beth Israel Medical Center, a hospital affiliated with Harvard, walking can lower total levels of bad cholesterol, and increase high-density lipoprotein (HDL) or good cholesterol. Controlling blood sugar: By walking activity, then automatically sugar or glucose levels in the body will work in every cell in your body tissues. So the sugar or glucose levels are not concentrated or accumulate in your blood, so you will avoid diabetes. Diabetes is a disease caused by high levels of sugar in your blood. Maintaining mental fitness: From the psychological side, walk provides an opportunity to clear your mind, solve problems and reduce stress. If you like activities that require relaxation, walking can also be a means of meditation. Heart healthy: Walking regularly has been shown to reduce the risk of heart disease and stroke. Benefits of walking can lower levels of LDL (bad cholesterol) while increasing HDL (good) cholesterol and maintain blood pressure. According to the Stroke Association, walking briskly for 30 minutes can help prevent and control high blood pressure can lead to stroke and reduce the risk by 27 percent. Improve your posture: Benefits of walking can help strengthen and shape the legs, giving the calf which contains, thighs, hamstrings and glutes lift (buttock muscle), especially if the added load. But if you really pay attention to your posture while walking properly, also will reduce waist size. 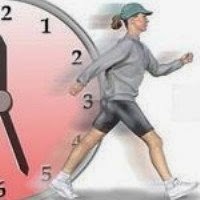 In addition, those of you who want to lose weight fast, do fast walking. Walking quickly burn calories and improve metabolism. Two things are very important for weight loss. So, how much actually calories burned when we walking? Walking can burn about 80 calories to 100 calories per mile, depending on the speed of walking. Walking leisurely burn as much as 97 calories. While walking fast with passion can burn 167 calories during 30 minutes.